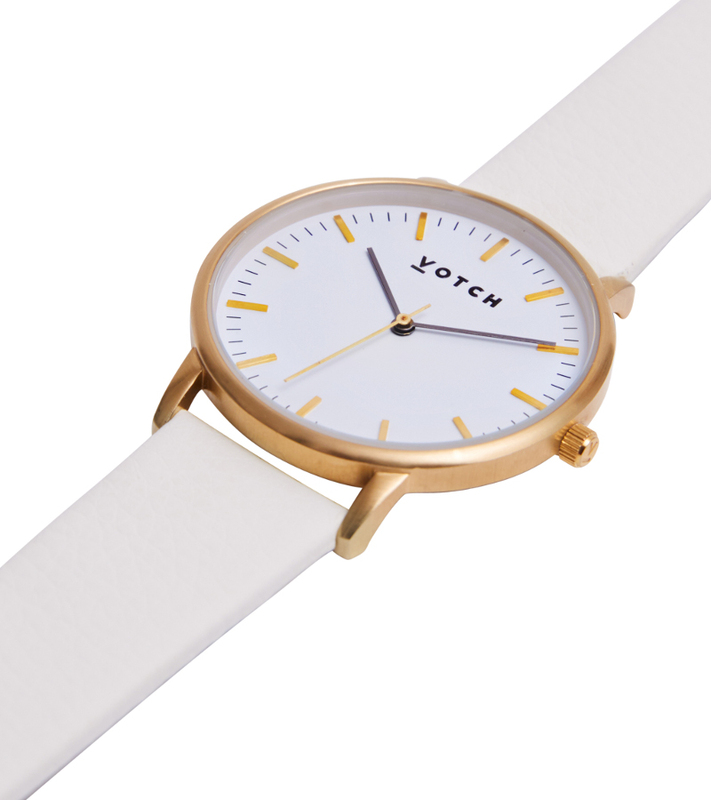 A gorgeous unisex vegan watch, with a faux leather strap and 3.6cm white watch face encased in brushed gold stainless steel. 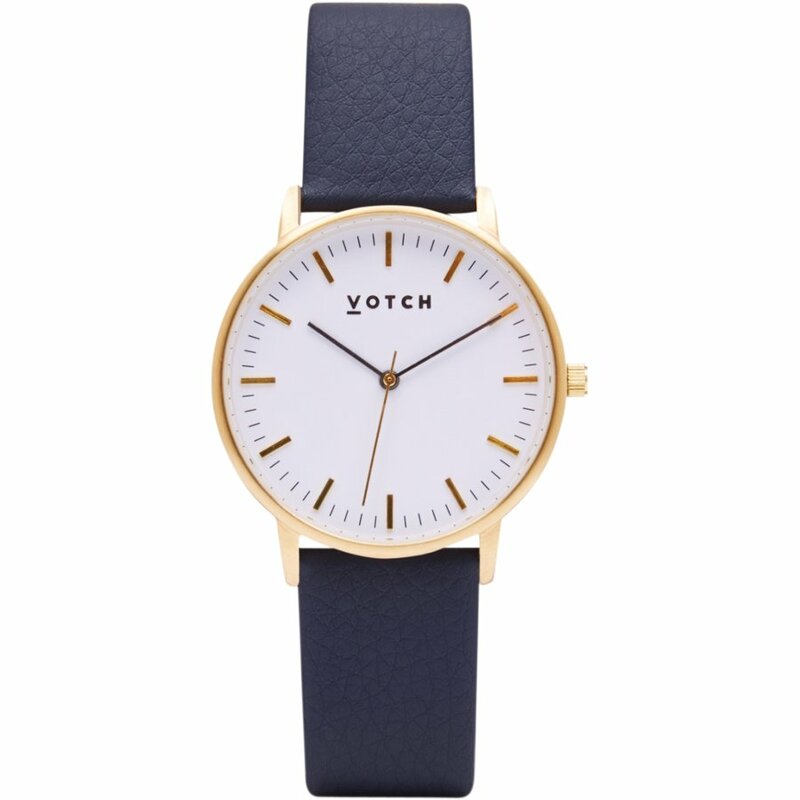 The watch uses a three hand Japanese Quartz movement, with the easily removable strap free from PVC, heavy metals, flame retardants with no added antimicrobial chemicals. 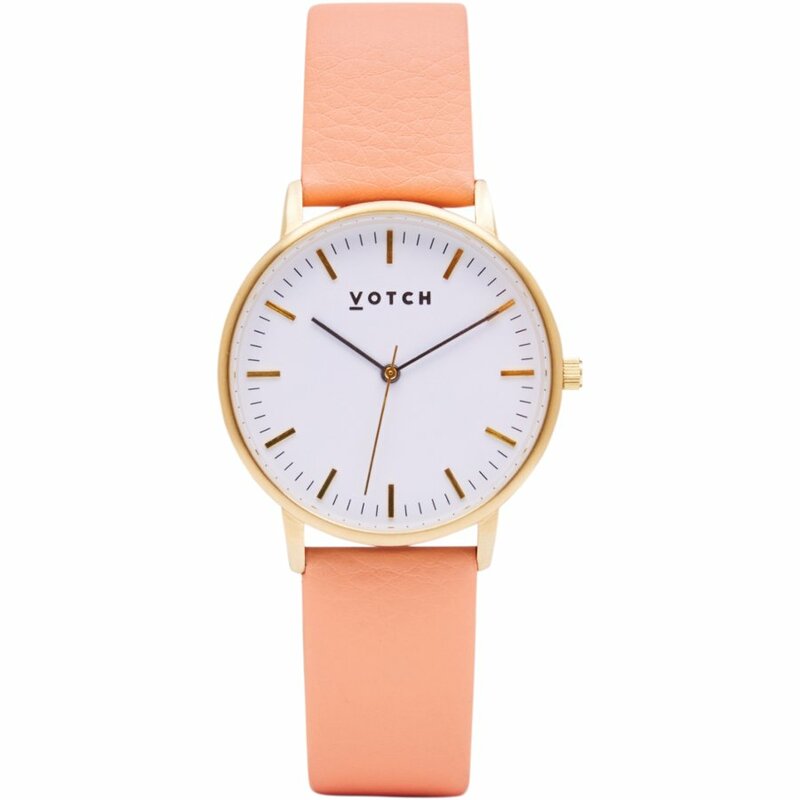 The watch is 3ATM water resistant, making it safe for everyday splashes but not suitable for bathing, showering or swimming etc. 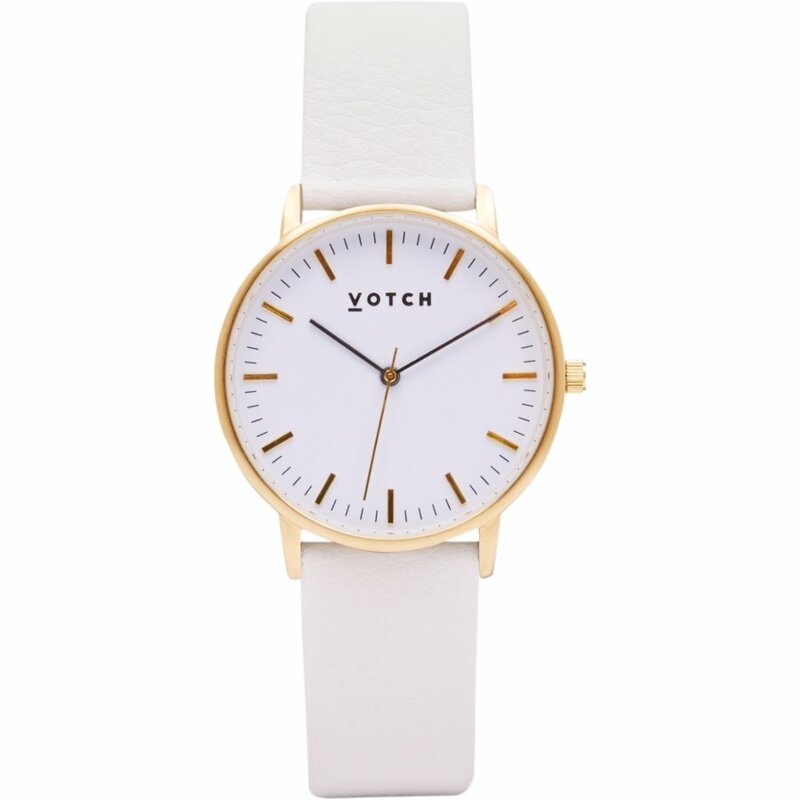 The watch is ethically made in China, in a factory vetted by Votch and meeting their high standards. 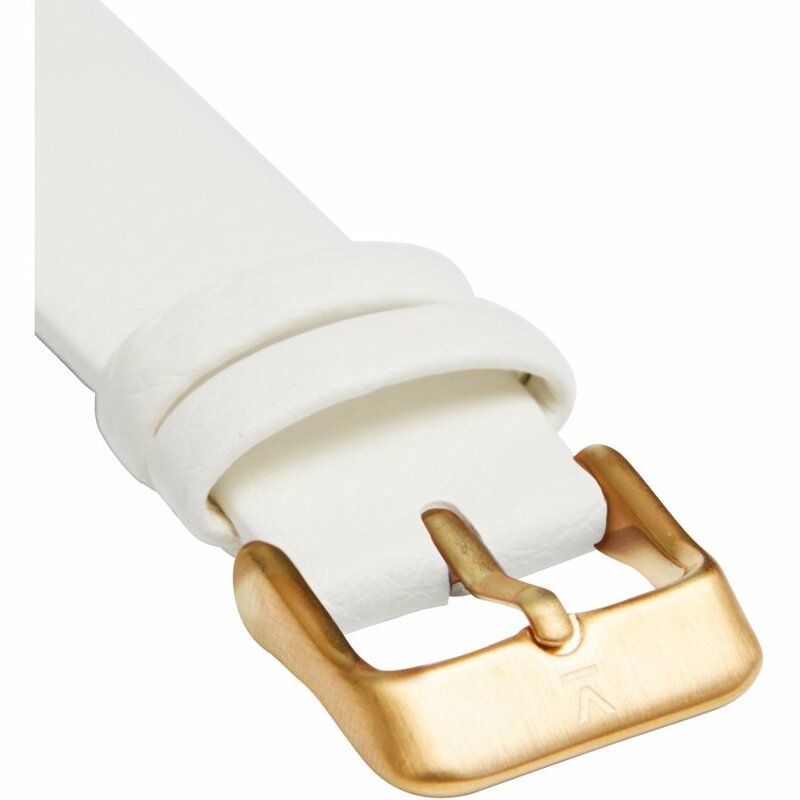 The factory pays fair wages, offers promotion opportunities and has good facilities for employees. 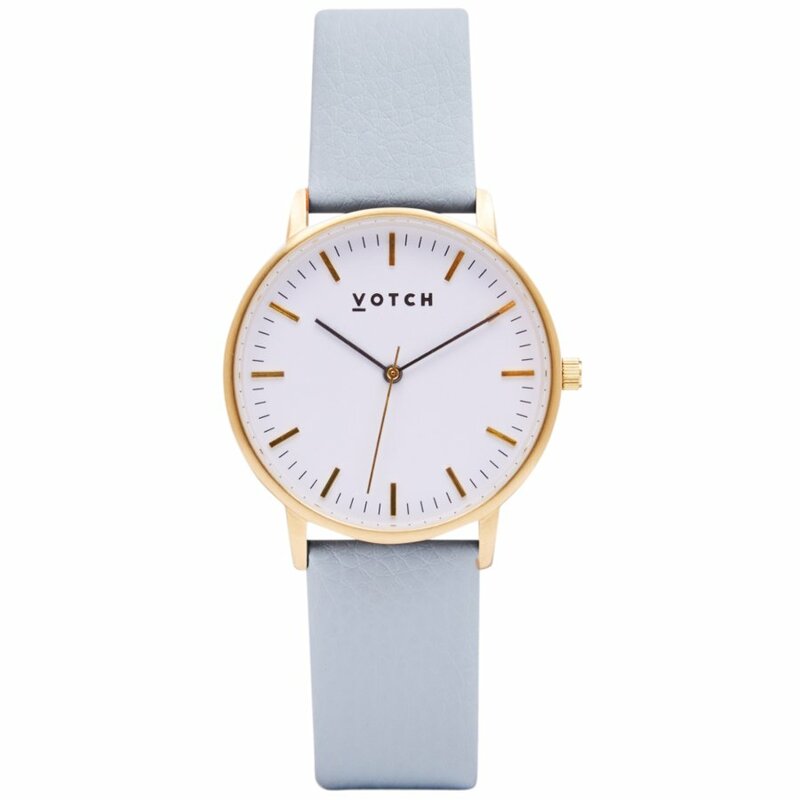 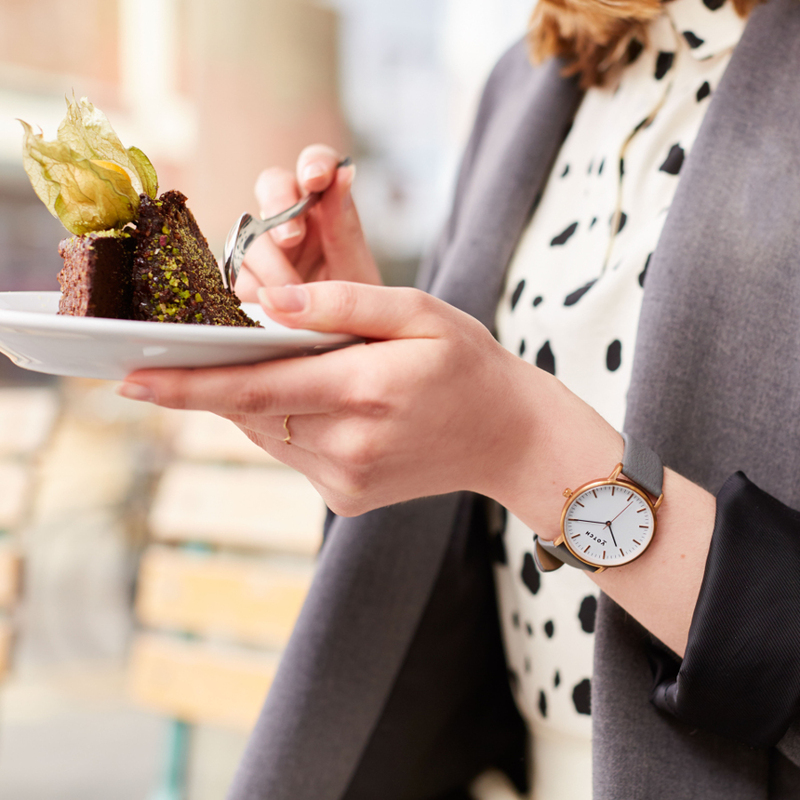 Votch support charities by donating 10% of profits from every watch sold to a like-minded charitable organisation. 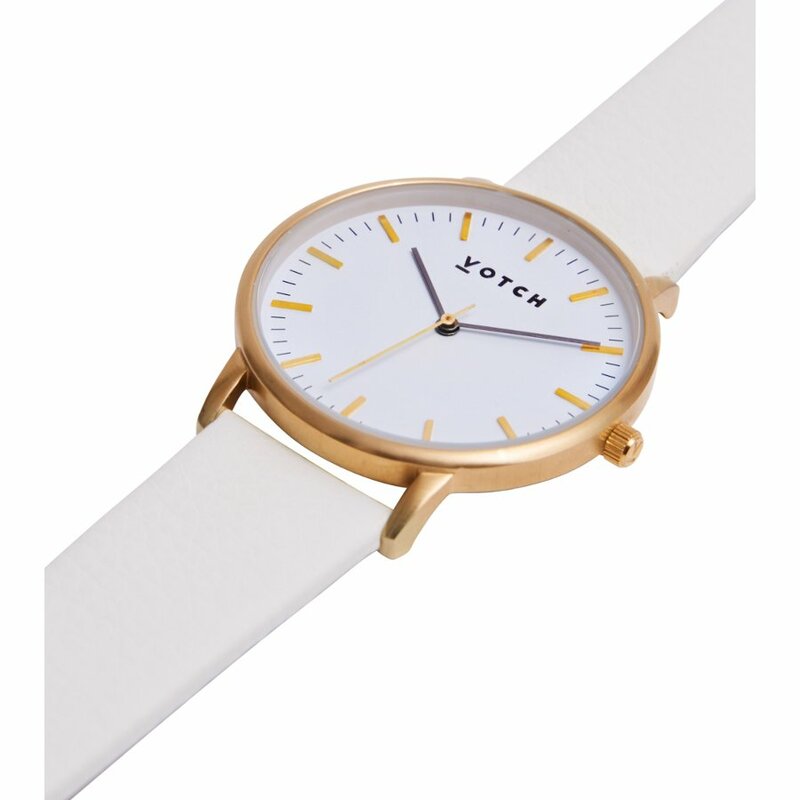 This chosen charity changes every 3 months. 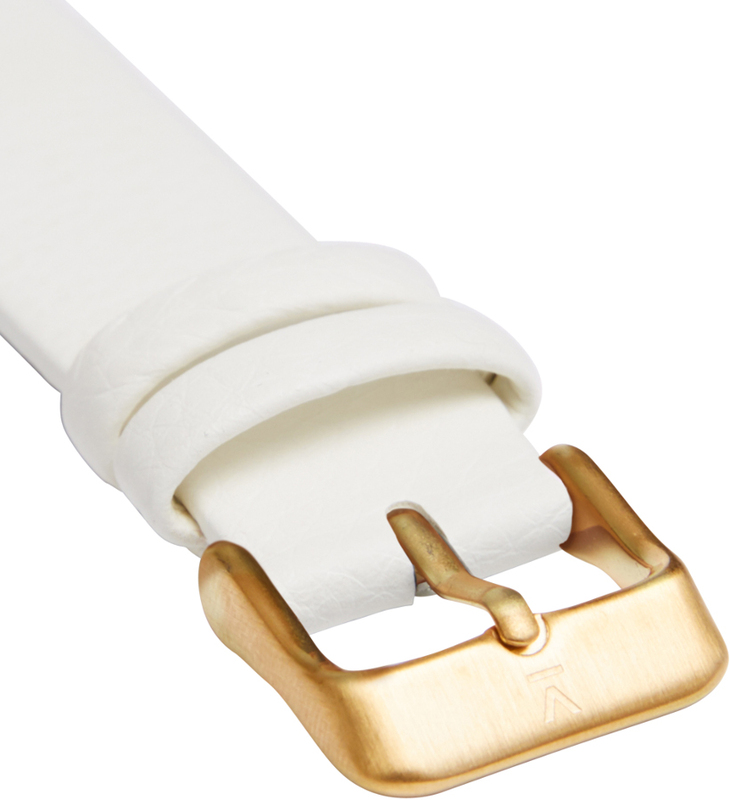 Strap width 1.8cm, length approx 16-20cm. 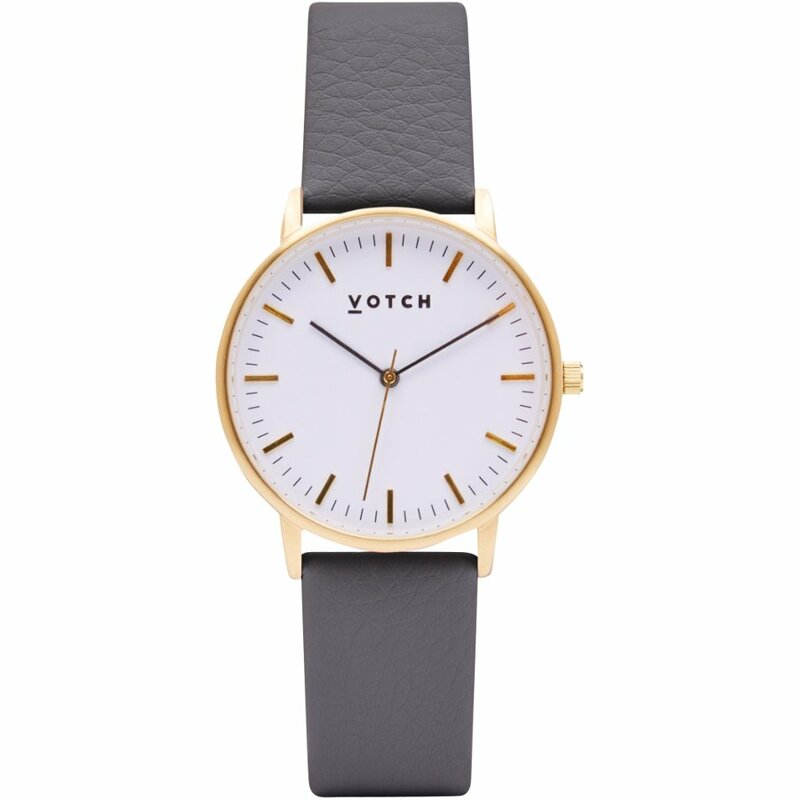 There are currently no questions to display about Votch New Collection Vegan Leather Watch - Gold.